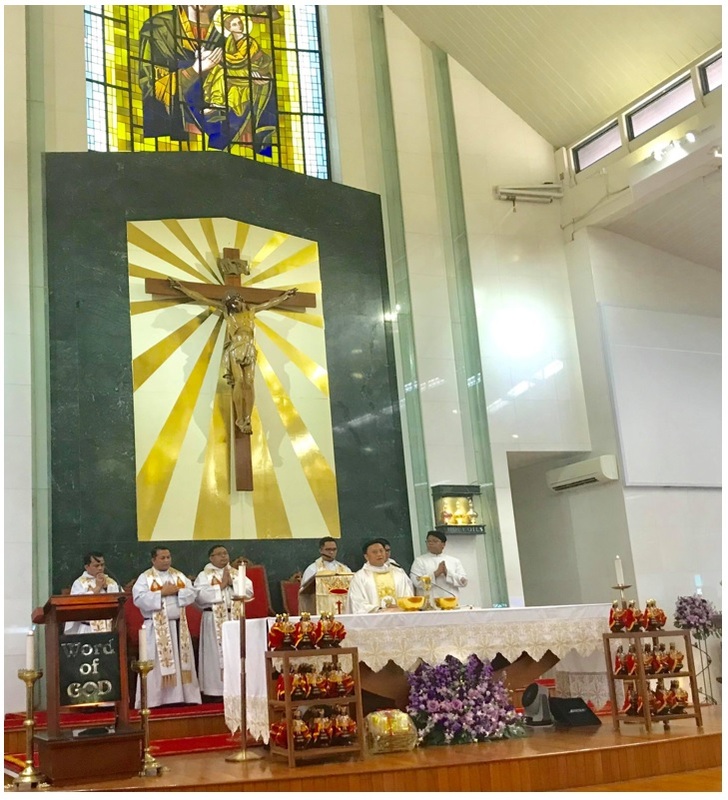 Filipino priests from Cebu were invited by the Our Lady of Perpetual Succour parish in Bedok, Singapore to celebrate the mass of the Feast Day of Sto. Niño on 27 January 2019. Ambassador Joseph del Mar Yap and Madame Josephine Gotianun Yap, Embassy staff and Sinulog organizers participate in the parade, which was attended by Filipino and Singaporean parishioners. 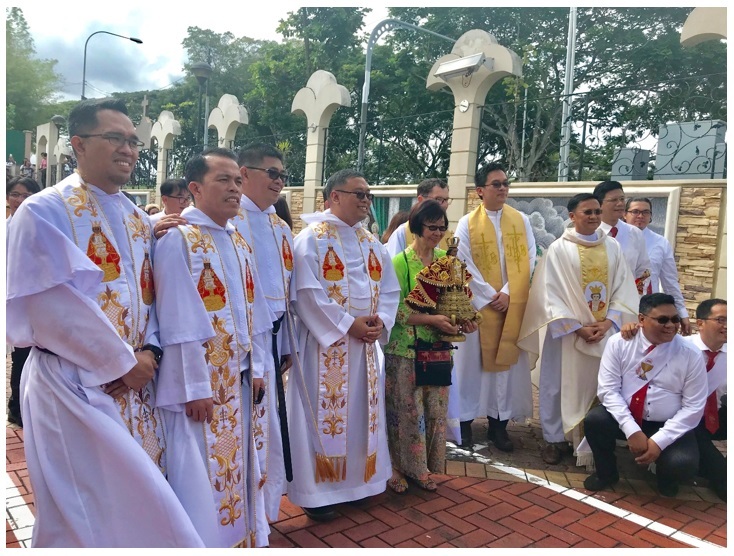 Filipino priests from Cebu came to Singapore specially for the Sinulog festivities organized by Filipino parishioners of the Our Lady of Perpetual Succour Church in Bedok, Singapore. The Ati-Atihan Group is one of the three colourful Filipino performing groups that rendered dances in full regalia at the Sinulog festivities. 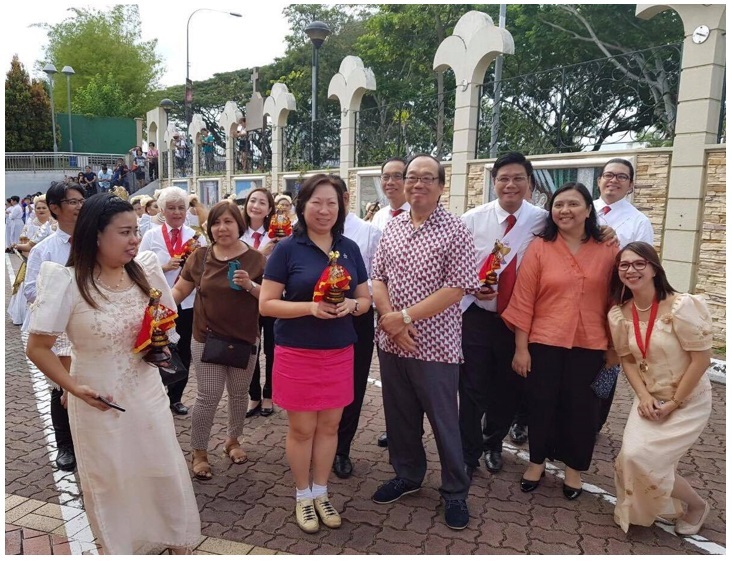 Philippine Ambassador to Singapore, Joseph Del Mar Yap, his wife, Madame Josephine Gotianun Yap, and the officers and staff of the Philippine Embassy joined the celebration of the Feast Day of Sto. 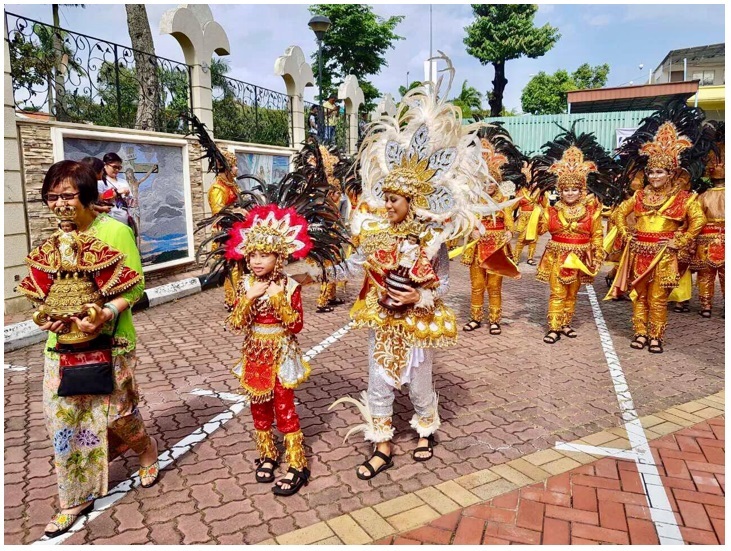 Niño and the Sinulog Festival on 27 January 2019 at the Church of Our Lady of Perpetual Succour-Singapore. This is the fifth year that the feast of Sto. Niño was celebrated in Singapore. The Sinulog Festival is one of the biggest celebrations in the Philippines, particularly in Cebu, to honor the Patron of Cebu, the Santo Niño de Cebu. It celebrates the discovery of the image of the Sto. Niño and the beginning of Christianity in the Philippines in the 16th century. A mass officiated by Filipino priests started the celebration. After the mass, Sto. Niño images were also distributed to Singaporean devotees. Similar to the Sinulog Festival in Cebu, the celebration in Singapore was capped by festive and colourful Sinulog dances. An estimated 1700 Filipinos and Singaporean devotees participated in the celebration. It concluded with a salo-salo of Filipino food.